Introducing 1 Dinar Eagle Founder Gold 916.0 - Cond: A+. These 1 Dinar coins are struck by Nubex under custom minting orders commissioned by one of Nubex’s customers. Each coin comes in a capsule embedded into a beautifully crafted wooden box. 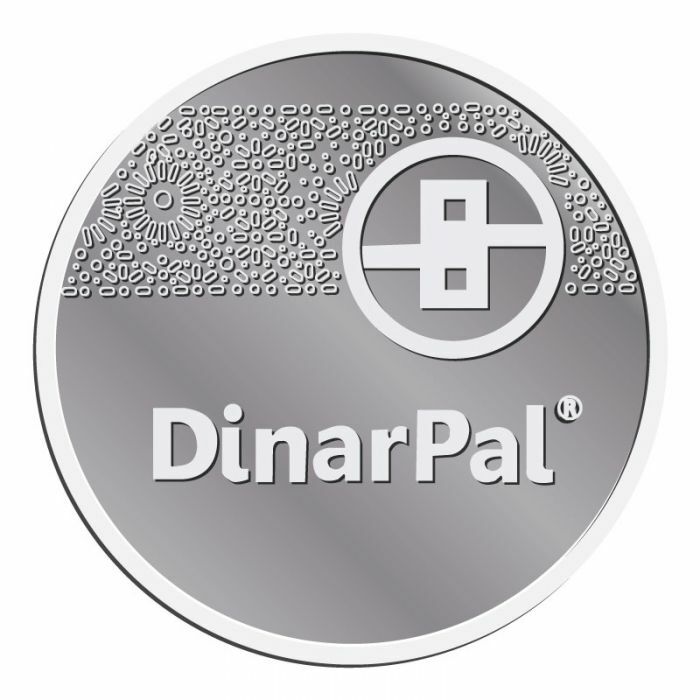 The observe face of the coin shows a serial number, the value of the coin in Dinar and the company logo. This logo is made of a drawing of a pair of an eagle’s wings at the beginning of its downwards stroke with is eyes and beak at full frontal flight towards the observer. Letters VIIS are above the eagle's body and in between the wings. The top front of the box carries this logo in white. The reverse of the coins displays the witnessing words of every Muslim. This 1 Dinar Eagle Founder Gold 916.0 - Cond: A makes a great gift for loved ones and collectors alike or kept as an investment for the preservation of wealth. Serial Number:- on the coin. Introducing 1 Dinar Water Beaute World Berhad Gold Coin 916.0 - Cond: B. These 1 Dinar coins are struck by Nubex under custom minting orders commissioned by one of Nubex customers. Each coin comes in a capsule embedded into a beautifully crafted wooden box. The top front of the box carries the words in blue “Water Beaute’ World Berhad” and a three letter logo of the company “WBW” is also in blue. The observe face of the coin shows a serial number, the value of the coin in Dinar, the company logo and the name of the company Water Beaute’ World Berhad. The reverse of the coins displays the witnessing words of every Muslim. This 1 Dinar Water Beaute World Berhad Gold Coin 916.0 - Cond: B makes a great gift for loved ones and collectors alike or kept as an investment for the preservation of wealth. 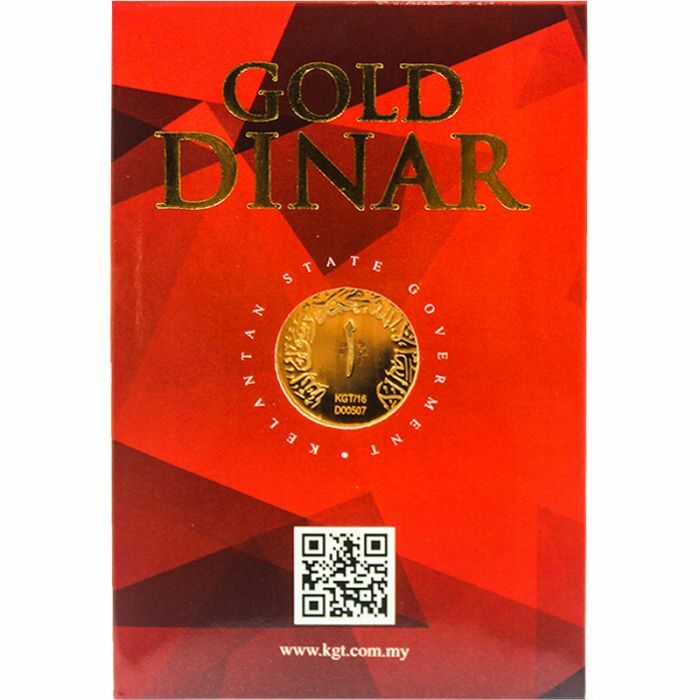 Introducing 1 Dinar Water Beaute World Berhad Gold Coin 916.0 - Cond: A+. These 1 Dinar coins are struck by Nubex under custom minting orders commissioned by one of Nubex customers. 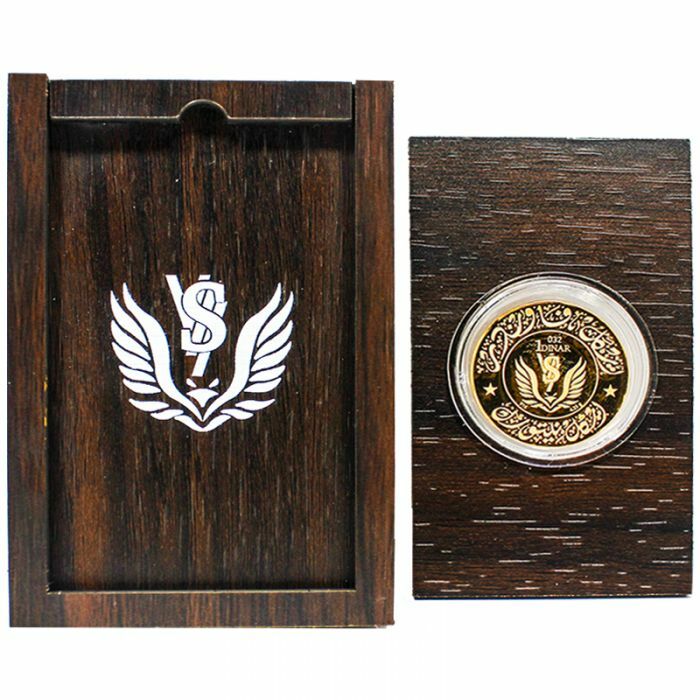 Each coin comes in a capsule embedded into a beautifully crafted wooden box. The top front of the box carries the words in blue “Water Beaute’ World Berhad” and a three letter logo of the company “WBW” is also in blue. 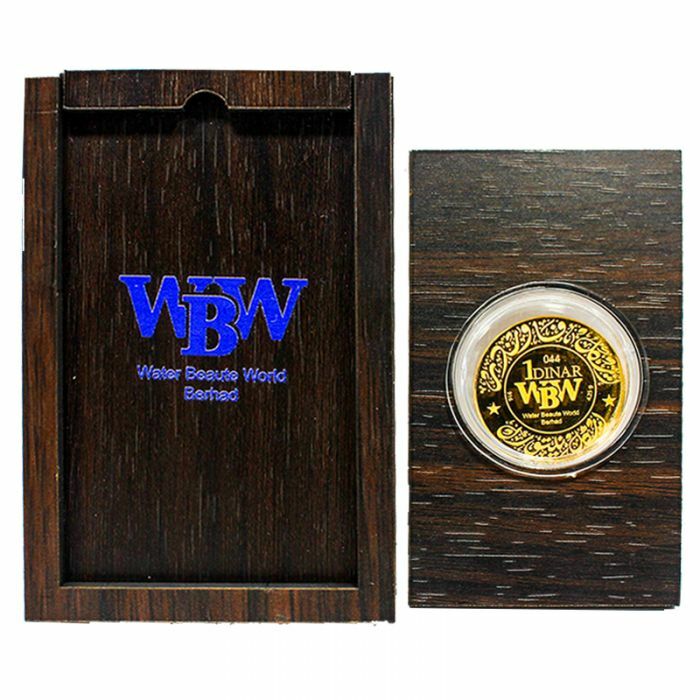 This 1 Dinar Water Beaute World Berhad Gold Coin 916.0 - Cond: A+ makes a great gift for loved ones and collectors alike or kept as an investment for the preservation of wealth. This 1 Dinar Eagle Founder Gold 916.0 - Cond: A+ makes a great gift for loved ones and collectors alike or kept as an investment for the preservation of wealth. First struck in 2006 by Mariwasa Kraftangan of Kuala Kangsar, Perak and launched by the state of Kelantan on 20 September 2006, these coins are authorized by the world Islamic mint of Abu Dhabi, United Arab Emirate to strike this series of new coins in 2010. These coins are made from 1 dinar with the weight of 4.25 grams and the purity of 917 pure gold. 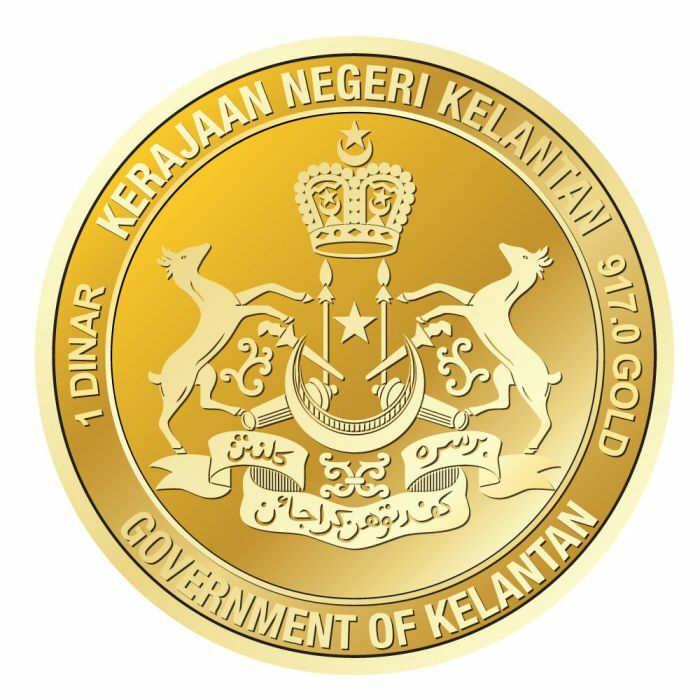 The obverse side of the coin depicted a monogram in Arabic within a decorative border, while the reverse of the coin displays the full Kelantanese Coat-of-Arms. This 22 karat of 1 dinar gold coin is ideal to be as your wedding mahr, investment or as a part of your collection. Presenting the 1 Dirham Alladein pure 999 silver coin by Dinar Pal. The coin comes included with a certification of authencity and signed by a certified assayer. Add this 1 Dirham coin to you collection or investment portfolio today! 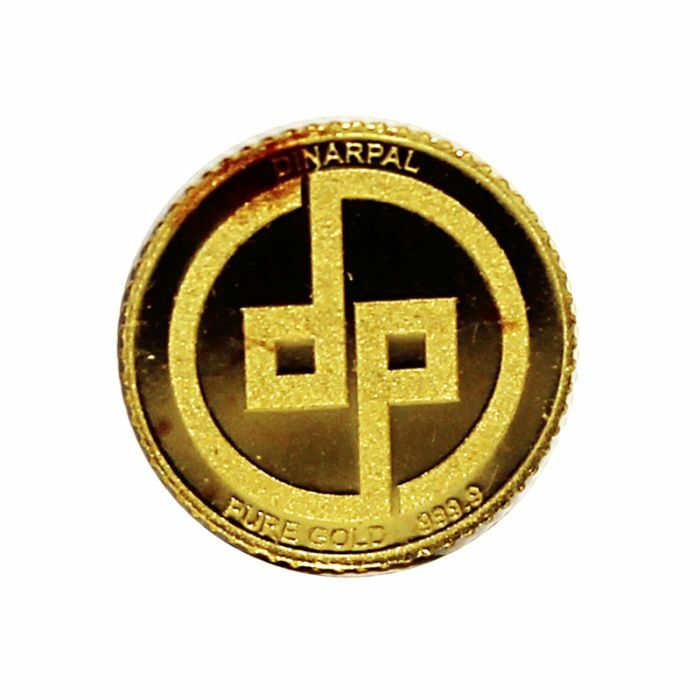 Design - The obverse side coin features the 'Dinar Pal' logo along with a strip of floral-inspired motifs. The reverse features the coin's name and tech specs inscribed, along with a depiction of an Arabic lamp, tying it back to the product's name.